When animal welfare organisations campaign to save endangered species, it’s easier to appeal to the general public with images of creatures who are cute or majestic. The most high-profile endangered animals -- giant pandas, white rhinos and Siberian tigers -- all benefit from being visually appealing to us. But there are many less appealing creatures that require protection, too -- including some pretty creepy spiders. The fen raft spider, which is native to England, is fully protected by law due to the destruction of its wetland habitats. This spider is so-called due to his unusual ability to float on water. To do this, he stretches out his 10-centimeter long legs over the water surface to disperse his weight. Fen raft spiders are only found in three locations in England now and are becoming increasingly isolated. The spruce fir moss spider is another that is suffering from habitat loss, but his plight is not man-made. The spruce fir moss spider can only survive on spruce fir moss mats, which only exist next to spruce firs. But the spruce fir is itself endangered due to non-native pest insects. This long-legged spider makes his home inside the caves that are now part of the campus of the University of Santa Cruz, California, and it is the proximity of his habitat to the university that has made this spider endangered. Unrestricted access to the Empire Cave System by students and vandals, many of whom spray graffiti, host parties and light bonfires, has destroyed the balance of fauna that the Dolloff cave spider needs to exist. He makes his webs near the entrance to the cave, which are often destroyed as people enter. This spider has no eyes and three large teeth, lives in a cave and catches its prey by chasing and then biting them, rather than by spinning a web, so he scores pretty highly on the scale of creepiness. 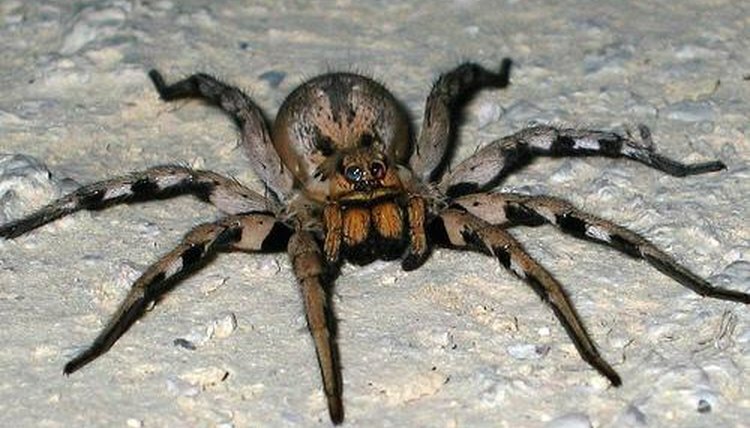 The kauai cave wolf spider is another that has become endangered due to the degradation of its cave habitat. It is simultaneously losing places to live and finding it increasingly hard to feed, due to the rapid decline of its main food source, the Kauai cave amphipod. The katipo is a member of the red-back family of spiders. He is native to New Zealand and was declared as an endangered species in 2010. The main cause of his plight is habitat destruction, but he is also contributing to his own dwindling numbers by breeding with other red-backs, causing hybridization and reducing the number of pure katipo spiders. Although the katipo requires human protection, he still manages give people the creeps by regularly making his way into luggage and cargo being handled at the Port of Napier.